AND a $25 Starbucks GC! It's the story about the woman, your mother, sister, wife or best friend, sitting across from you — in one moment her life is normal and the next she’s struggling with the new normal. It's a story about coping with a traumatic accident and all the physical, mental and spiritual complications that come with it. After Janet and her husband sold their business, they packed up their three boys and went on a family cross-country trip. An entire continent away from her home, Janet's normal life was turned around in a car accident. Facing death, her body broken and the bones in her legs shattered she must learn to live again. She must learn to run again. 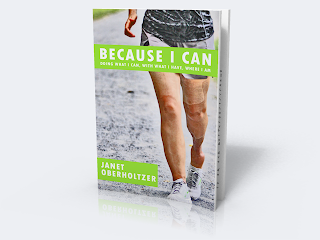 Janet's story is one of triumph and strength that will give readers hope. Janet is a writer, blogger and motivational speaker from Mohnton, Pennsylvania. She is married and has three college-aged sons. Before her accident, she was a successful business women, owning a garden center with her husband Jerry. On her blog, JanetOber.com she writes about her experience of overcoming her accident, running and how to maintain a healthy body, mind and spirit. 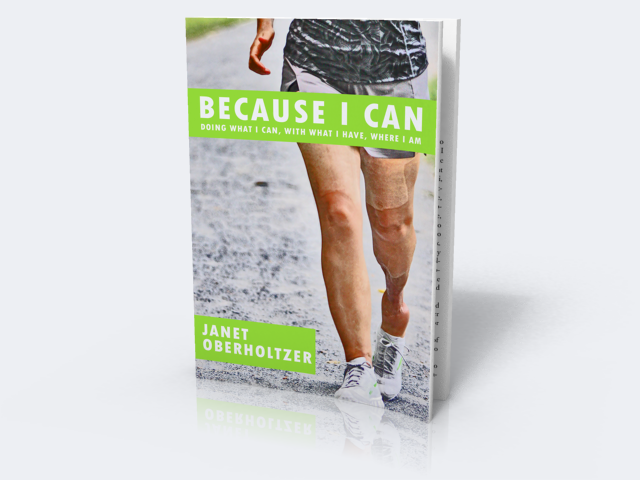 Because I Can is available nationwide and you can pick it up on Barnes and Noble for just $8.71 for the paperback and $7.99 for the Nook version. If you're like me you can also pick up the Kindle version on Amazon for $7.99 too! You can also check out Janet Oberholtzer's page at Rhizome Publishing and check out all of the other great authors there too!